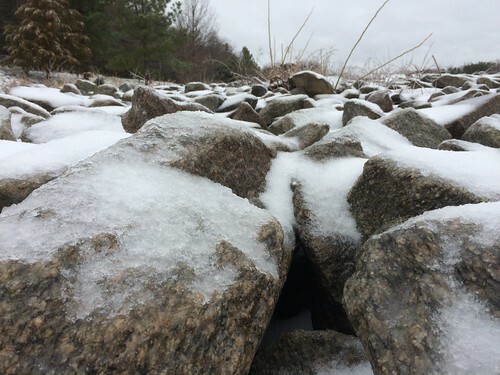 It’s been a fairly warm winter without much snow, so even just the few hours of frozen precipitation we got in March was cause enough for some late weather excitement. More ice rather than snow, so a smooth slippery crust formed over every surface. 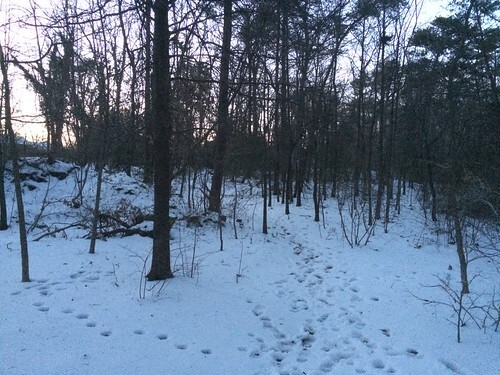 Local forest trail became especially perilous after some refreezing, as I learned the hard way the next evening. 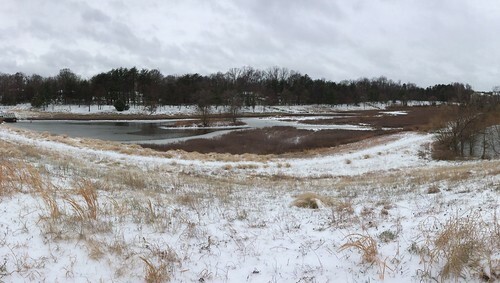 Since it was very icy and packed, the snow/ice mix lasted a while. 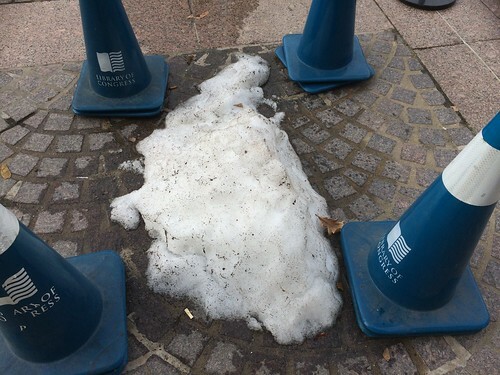 A week later, this sad remnant was still left outside Library of Congress. The late and sudden cold caused a bit of a cherry blossom scare but the trees appear to have survived nicely.